People love the Brooklyn neighborhood of Bedford-Stuyvesant. Not only because it’s full of beautiful, historic brownstones and tree-lined streets, but also because there are exciting new bars and coffee shops and all sorts of events popping up in the area — including some amazing comedy shows. If you’re not spending time in one of Brooklyn’s most famous neighborhoods, you are missing out! Here are some local establishments and comedy events we recommend you check out whether or not you live in the area. In the heart of Bed-Stuy, you’ll find this lively bar which specializes in craft cocktails and great food, including a brunch menu with options ranging from banh mi to yogurt and granola. Plus, they often have live music from some of the most talented musicians in New York — including the bar’s three owners. This local favorite right next to the Fulton C stop is a must-visit no matter the time of day. It has a great back patio where you can easily waste away an afternoon basking in the sun or playing ping pong. At night, it tends to get crowded, but no amount of people can kill this place’s chill vibe. They have a selection of beers and cocktails, plus wine served in little tumblers. If you’re looking for a place to hang out and relax, head over to this rustic bar on Bedford Ave., which has a fireplace and, refreshingly, no television. It can get packed, but is usually quiet and low-key enough that you may feel like you’re not even in New York City. Head to this popular Mexican-themed bar on Franklin Ave. for good drinks and even better tacos. There’s a truck in the backyard that serves everything from carnitas tom huitlacoche, plus tortas and tostadas, all of which pair perfectly with the bar’s tropical drinks. This classy bar on Franklin Ave. is the perfect spot for a date or to catch up with a friend over beers. They have an extensive beer menu, plus wine and great cocktails and a casual, laid-back ambiance. People travel to this shop on the corner of Franklin Ave. and Lafayette Ave. for their famous doughnuts, which are so popular they opened up a second location in Manhattan. You can try their imaginative flavors like hibiscus and cafe au lait at Smorgasburg and other food fairs around the city, but it’s worth popping into their small and unpretentious flagship store for coffee and a treat. This little coffee shop is a great place to pick up a latte before your morning commute or to plop down and work for a few hours. The staff is friendly and the bagels are fresh, plus there’s a great little lunch menu that covers all the basics. Technically located in Clinton Hill just near the Bed-Stuy border, this coffee shop is worth walking an extra block for its open, light-filled space. 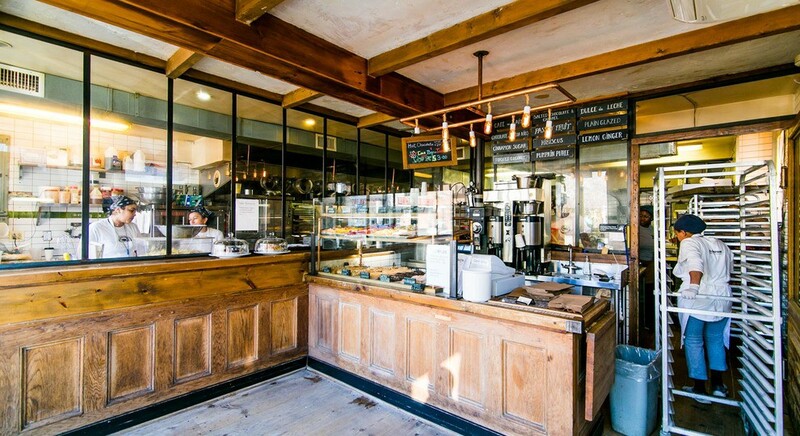 Not only do they have extensive breakfast and lunch options, but they make their incredible cakes and pastries on site and always have lots of vegan and gluten-free options. Over on Bedford you’ll find this farm-to-table cafe with very strong espresso. The delicious food ranges from chia pudding to salads to grain bowls and they also have a full coffee menu and a wide selection of teas. It’s a great place to sit for a few hours and catch up with a friend or to get some work done since their large space is filled with plants that’ll brighten your mood on even the coldest winter days. This ultra-hip cafe and community space on Bedford Ave. is usually filled with freelancers during weekdays, but it hosts events like poetry readings and even tag sales. There’s even a little corner in the back of the shop where local artists sell clothing, jewelry, prints and more. Plus, the coffee is great! While it’s not exactly in Bed-Stuy, you have to check out Friends and Lovers, a Crown Heights venue on Classon just a few blocks past Atlantic Ave. for this weekly show. 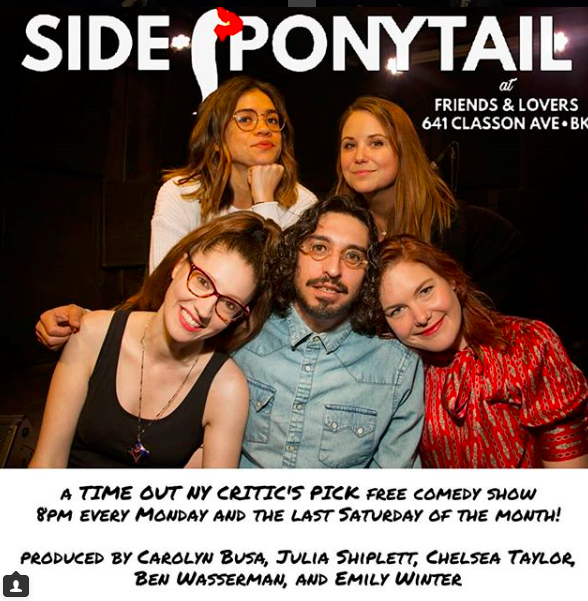 Every Monday at 8 p.m., Carolyn Busa, Julia Shiplett, Emily Winter, and Ben Wasserman bring you some of the best stand-up comics in New York and beyond — all for free! The venue hosts other events, including dance parties and another comedy show called Nothing Important, which happens the last Friday of every month at 8 p.m.
C’mon Everybody is known as *the *place to go dancing in Bed-Stuy, but this venue on Franklin Ave. also has a monthly comedy show hosted by Adam Friedland, Stavros Halkias, and Nick Mullen, who also host a popular podcast. The show is always packed (in a good way!) and features comedians who’ve appeared on Comedy Central, Netflix and more. 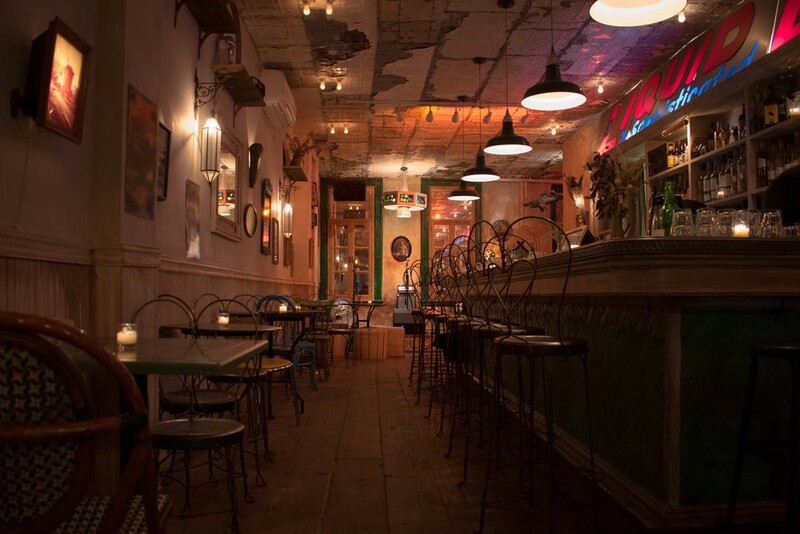 Head over to Nostrand Ave. where you’ll find The Corners, a spacious bar that serves up great cocktails. Even better, in the back room Blair Dawson and Defne Gencler host a great stand-up showcase the second Wednesday of every month at 8:30 p.m. It’s always a fun show, and it’s free. This venue on Bedford hosts a weekly open mic every Wednesday at 7 p.m. where you can see up-and-coming comics try out new material. It’s also home to several stand-up and storytelling shows, so check the schedule to make sure you don’t miss something great! Street and 1247 Atlantic Avenue. These new additions to the neighborhood feature everything from studios to four bedroom lofts, all with easy access to tons of great coffee, booze and comedy. Schedule a tour of 35 Claver Place, 1068 Fulton Street, or 1247 Atlantic Avenue on our website!